Anyone who is familiar with HP’s laptop categories would know that their Envy series is the most reasonable and accessible one. Considering that it sits right between their premium Spectre laptops and their lower end Pavilion series. But those were facts till 2018. 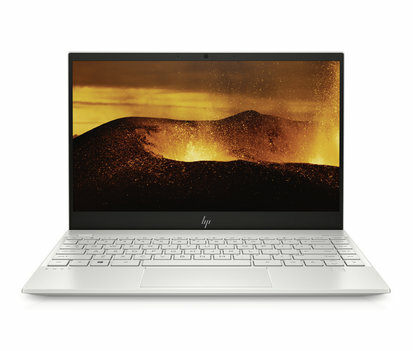 HP has recently worked on their Envy series to meet the standards of Spectre laptops and has introduced features like upgraded processors, a webcam privacy switch (that cuts off the power to the camera), fingerprint reader, wake-on voice, Sure View and built-in support for Alexa for some as well. There are noticeable hardware upgrades as will like slimmer bezels and reduced weightage. But that is not even the best part. Even with these premium specs, HP has still managed to keep their price range below $1000 which is considered to be the minimum price benchmark of premium laptops. 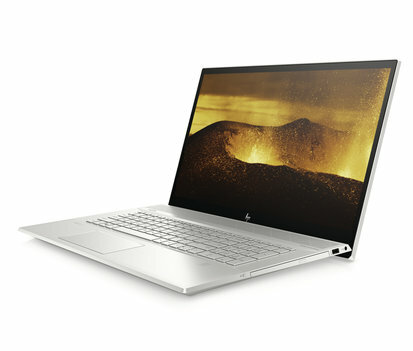 Featuring Intel Core 8th-generation processors the HP Envy 13 and Envy 17 with no reversible hinges are traditional laptops receiving the 2019 upgrades. The HP Envy 13 has been revamped to shed a few pounds and inches too. Remodeled to be 0.2 mm thinner and 0.03 pounds lighter than its 2018 counterpart. HP has also blessed this one with a Left hinge that extends the bottom of its lid to bump up the keyboard for easy typing. What I like best about this remodeling is that we won’t be suffering from the loss of USB Type A ports due to the slim body. HP has come up with a ‘drop jaw’ design that let you connect USB supported devices by simply pulling down a flap. The complete set of ports include USB 3.1 Gen 1 Type-C, two USB 3.1 Gen 1 Type-A ports, a headset jack, and a microSD card reader. 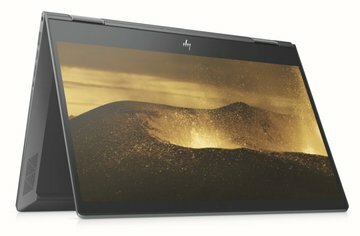 For the Envy 13, HP claims that its 53 Wh battery is capable of providing 16 hours of backup which sounds a little on the ‘too good to be true’ area. The processors can go up to Intel Core i7-8565U, an 8GB DDR4-2400 memory (onboarded and not upgradeable) and a 256GB PCIe NVMe SSD. The Envy 17 might interest some gamers due to its NVIDIA’s GeForce MX250 graphics on board. 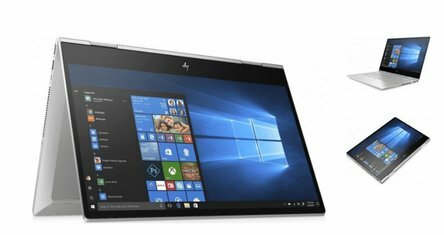 As there is more room on this one, HP has loaded the Envy 17 with 12GB of RAM, 32GB of Intel Optane memory, and a 512GB PCie NVMe solid state drive. Also blessed with thinner bezels, the Envy 17 is estimated to be 45% slimmer than its 2018 version. The display on both these models comes with a 1980 x 1080 touch screen alongside a backlit keyboard and stereo B&O speakers. Color variety of these includes Pale Gold, Natural Silver, and Nightfall Black shades. Both are expected to be available by April starting from $899. The Envy x360 15 and Envy x360 15 are the classic convertibles which can be molded into a tablet or into tent mode by the rotating hinge. While the HP Envy 13 and Envy 17 might pique the interest of students and gamers, these two are most likely suitable for arts and graphics enthusiasts. The Envy x360 13 will be using an AMD’s 2nd-gen Ryzen processor, can deliver up to 14.5 hours of battery backup, includes up to 1TB of SSD storage and up to 16GB of RAM. The ports selection will boast two USB 3.1 Type-A ports along with a USB-C input and a headphone jack. This one is just 0.6 inches thick and weighs only 2.9 pounds. That is the most we know about the Envy x360 13. Now the x360 15 is a whole other story. It comes with Intel Core i5 or i7 processors and AMD’s Ryzen 5 or 7 processors so there are plenty of options to go about here. There is 8GB of RAM and the most basic configuration has a 256GB SSD while the higher-end model is boosted with 512GB of storage. The screen res remains the same throughout each config that is a 1980 x 1080 15.6 inch touchscreen with tiny bezels. There are a lot of other amenities too like quad speakers tuned by Bang & Olufsen, and a backlit keyboard with a num keypad. Battery backup is claimed to be 13 hours approx depending upon the usage. The notebook measures 14.1 inches to 9.7 inches and 0.7 inches – weighing just about 4.5 pounds. The ports selection includes a USB 3.1 Gen 1 Type-C port, two USB 3.1 Type-A ports, an HDMI port, and a headset jack and an SD card reader. The price for the Envy x360 13 starts from $700 and for the x360 15 HP will sell AMD Ryzen-powered models for $800 and up. Choices of processors include Ryzen 5 2500U or Ryzen 7 3700U processors with Radeon Vega integrated graphics. For Intel models, it will cost you $800. Both models are expected to be released by April.